We are on holiday from 31.07.2017 – 18.08.2017, in this time we will move with our company. During this time, our shipping and merchandise acceptance is closed. In this time you can reach us only by e-mail: sounddesign@jehnert.de. The brand new product catalogs for 2013 are online! Soundtuning for VW Bus T5! Three new power variations for a fascinating sound playback in the VW Bus T5. Customised speaker enclosures on the dashboard with a 55mm (2,2″) Neodymium midrange speaker and a 19mm (0,75″) Softdome-Neodymium tweeter are reaching a wide and voluminous stage performance. The car doors are equipped with either two 165mm (inches?) Power woofers or two extremely low-profiled and light 200mm (8″) woofers. 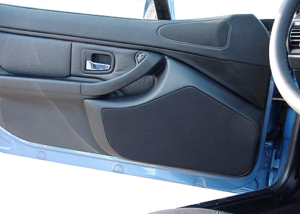 Installation is made by car-customised adapter parts in the original mounting place of the car door. The crossovers are acoustically calibrated and optimize the sound system with a detailed rich sound image and vivacious sound dynamics. An optional 2-way rear system for the hatchback completes the sound system with a perfect staging. https://www.jehnert.de/wp-content/uploads/2018/08/JEHNERT-R_Logo_Vector_sw-1-300x36-300x36.png 0 0 Jehnert Sound Design https://www.jehnert.de/wp-content/uploads/2018/08/JEHNERT-R_Logo_Vector_sw-1-300x36-300x36.png Jehnert Sound Design2013-01-11 09:54:272014-07-07 09:55:05Soundtuning for VW Bus T5! 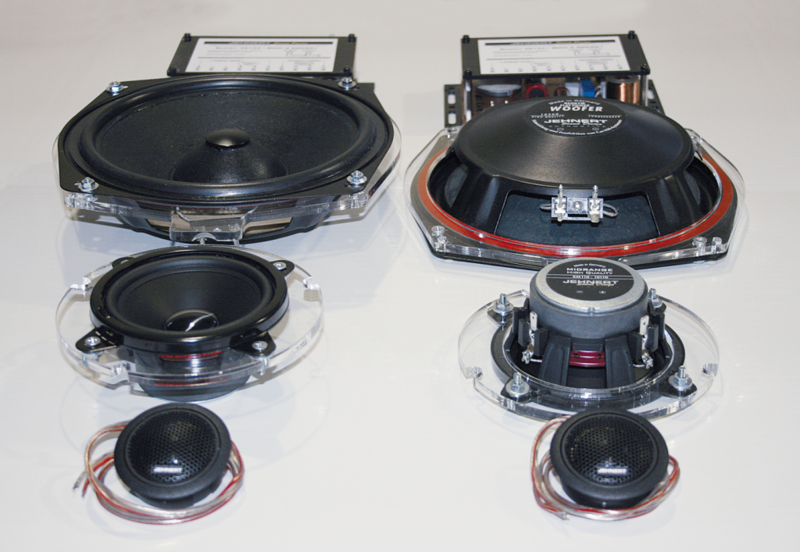 The car-customised Jehnert Flat-Line Woofer systems are available now for three more BMW models. The high-performance 3-way sound package with the customised adapters out of acrylic glass is now also available for the BMW F10, F11 and F30. The installation is simple and fast in the original cut-outs. and the car-customised crossovers (two-parts). https://www.jehnert.de/wp-content/uploads/2018/08/JEHNERT-R_Logo_Vector_sw-1-300x36-300x36.png 0 0 Jehnert Sound Design https://www.jehnert.de/wp-content/uploads/2018/08/JEHNERT-R_Logo_Vector_sw-1-300x36-300x36.png Jehnert Sound Design2012-11-08 09:53:342014-07-07 09:54:04NEW! Additional flatline-woofer sets! Travel with a small Hifi all-rounder! Music enthusiasts should also have high-quality sound while traveling. Do you like it compact, small and perfectly integrated? The new Multibox 6000 has it all in one unit. With ist unique construction in t wo parts the small, variable speaker box offers many possibilities for installation and mounting. The front enclosure can be combined with any design of the living area. You can choose from a variety of artificial leather up to an integrated back-lighting. The 2-way Jehnert speaker system „made in Germany“ is available either as open front enclosure or as completely closed version. Installation is simple and fast by means of the strong adhesive Velcro system e.g. on the wardrobe, on dividing walls, frames or as a corner box. 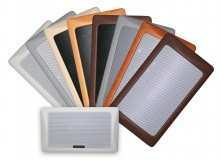 Enjoy sound dreams with a power of 50 Watt sinus / 100 Watt music – not only with your eyes. Here you can find the new Jehnert Multibox 6000 in our catalogue. Finally you can also have hifi-pleasure in the Mercedes Sprinter! The new sound system for the Sprinter comprises a 3-way soundsystem in the driver’s cabin, optionally with a bassreflex woofer and the new Multibox 6800 developed for the living area – a special highlight in sound. Just recently a very special vehicle left our production hall: The new 250 hp Renault Megane RS. The result: A doorboard-power package with a total of eight 165mm (6,5“) JEHNERT Power Woofer, angled 100mm (4“) midranges, 26mm (1“) Softdome-Neodymium tweeters and car-customised crossovers. A sound conception providing powerful basses and impressive sound dynamics . Finally we had to compete with the sports mode of the Megane regarding sound and power. But sound is nothing without design at Jehnert: thus – customised, extremely low-profiled doorboards are modifying the Megane doorbuilds to an exclusive design element. In the recent months and years we had a lot of enquiries about the compact Z3 doorboard with 2x165mm (6,5“) JEHNERT Power Woofer, which some time ago has been part of our doorboard programme. And wishes of our customers and fans now come true: The „facelift“ of the Z3 doorboard with a 3-way soundsystem and 2x165mm (6,5“) is now available and furthermore, the system is suitable for 165mm (6,5“) EURO chassis speakers. BMW specific JEHNERT FLAT-line woofer soundsystem for original mounting places. The new JEHNERT FLAT-line woofer system has been especially developped for the installation in the original places under the driver’s – and co-driver’s seat. 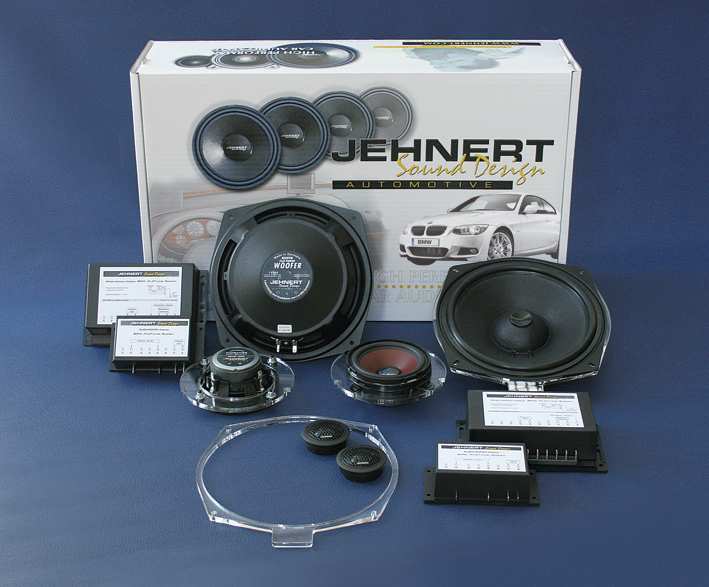 The unique construction of the JEHNERT 200mm ( 8“) Neodymium flat line woofer with integral Neodymium magnet drive and a car-customised adapter ring out of acrylic glass Offers a perfect and fast solution for all new BMW models. A 100mm (4%) High-End-midrange speaker and 26mm(1“) Softdome-Neodymium-tweeter together with a specific crossover complete the 3-way system and are performing a powerful sound package. https://www.jehnert.de/wp-content/uploads/2018/08/JEHNERT-R_Logo_Vector_sw-1-300x36-300x36.png 0 0 Jehnert Sound Design https://www.jehnert.de/wp-content/uploads/2018/08/JEHNERT-R_Logo_Vector_sw-1-300x36-300x36.png Jehnert Sound Design2011-09-28 09:58:082014-07-07 09:58:44BMW specific JEHNERT FLAT-line woofer soundsystem for original mounting places.